Britain has produced more than its fair share of memorable classics, but arguably few as seductive as the classic Aston Martins of the 1960s. 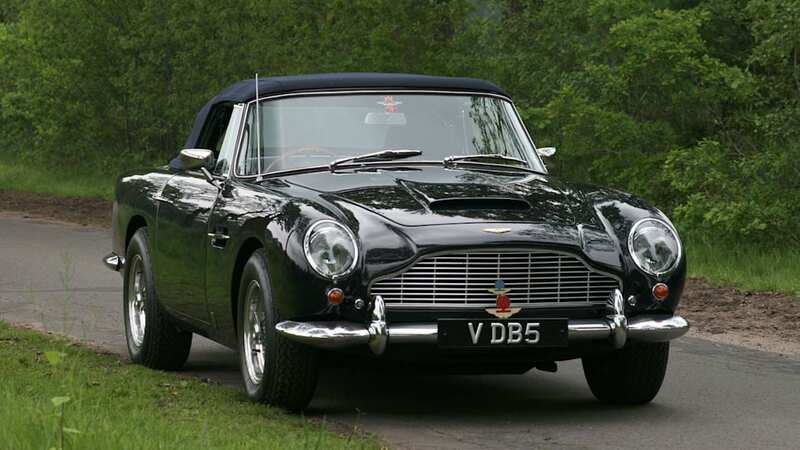 Introduced in 1963, the DB5 benefited from several generations of DB4 development, largely retaining the Touring bodywork but replacing the old 3.6-liter engine with a new 4.0-liter unit and several other advancements. Over two years of production, over a thousand DB5s were built, the vast majority of coupes outselling the 12 Radford coachbuilt shooting brakes and the 23 convertibles. 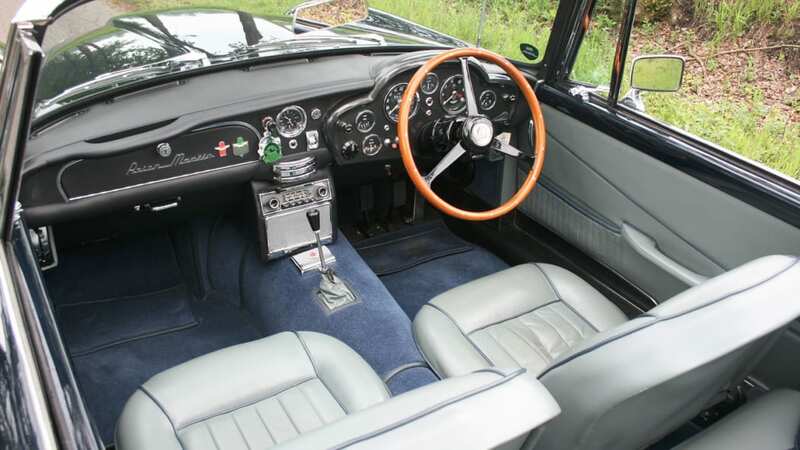 Of those few roadsters, only nine were outfitted with the more powerful Vantage engine, and one of them has just sold for a record £551,500 ($833k) at the Bonhams auction at the Goodwood Festival of Speed. The example in question, with original "VDB 5" license plates, had three previous owners who saw it through two comprehensive restorations (one at the Aston Martin Works Service in 1992 and another at Aston Service Hamburg in 2004), and was displayed last year at Villa d'Este. Along with the DB5 Vantage Convertible (the Volante name only coming into use on the subsequent DB6), Bonhams also auctioned off the 1937 Bentley featured in the Bond film "Never Say Never Again" for £221,500 ($335k), a rare Lister-Jaguar for £232,500 ($351k) and several more, totaling £3,707,687 ($5.6m) in sales. Details in the press release after the jump, with photos of the beautiful Aston in the gallery below. 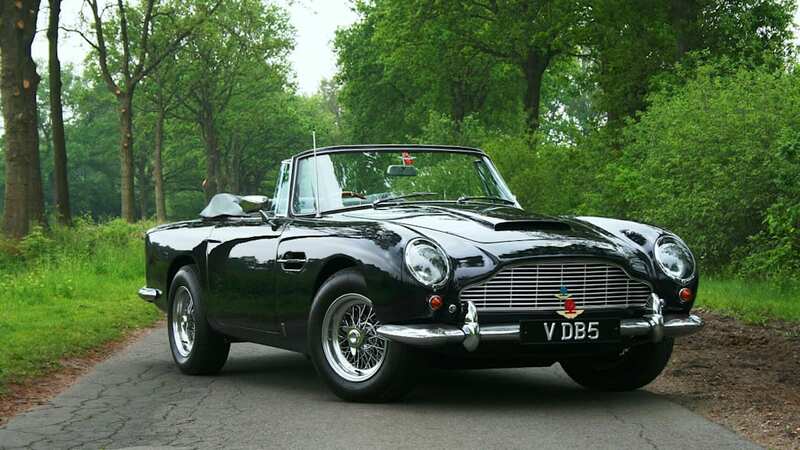 A 1965 Aston Martin DB5 Vantage Convertible, one of only nine produced, sold for a remarkable £551,500 today (2 July) at Bonhams annual Collectors' Motor Cars and Automobilia auction at Goodwood Festival of Speed. The sale fetched a magnificent £3,707,687 in total with a 75% sale rate. Top prices were paid for a 1937 Bentley 41/4-Litre Drophead Coupe, which featured in the 007 James Bond film 'Never Say Never Again' and starred at the Pebble Beach Concours in 2003, which sold for £221,500, and the ex-Yoshiyuki Hayashi 1958 model/1980s assembled Lister-Jaguar (also known as 'Knobbly'), which fetched £232,500. A black 1999 Mercedes-Benz SLK230, bought new by Dannii Minogue, and subsequently passed onto her sister, Kylie, attracted much pre-sale publicity. It finally sold to a 'lucky, lucky, lucky' buyer for £14,950 who fought off competition from several other interested bidders. Part of the proceeds from the sale are being donated to a breast cancer charity. A 1976 Jensen Interceptor Series III Coupe proved hugely popular selling for an impressive £54,300 against an estimate of £7,000 - 10,000. Leading lots in the automobilia section of the sale included Sir Malcolm Campbell's traveller's wallet, inherited by his son Donald, which made £4,715, and the World Waterspeed commemorative silver trophy presented to Sir Malcolm Campbell by Lord Wakefield in 1937, which fetched £24,250. Today Goodwood Festival of Speed attracts over 250,000 visitors compared to 25,000 at its inaugural event in 1993. Group Head of Bonhams Motoring Department, James Knight, comments: "There was extraordinary strength of bidding in all areas of the market and we were exceptionally pleased to establish yet another world record Aston Martin price with the sale of the DB5 convertible."